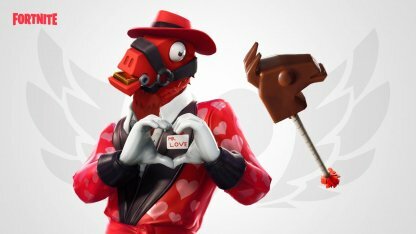 Learn more about Fortnite's Skin - HEARTBREAKER! Check out the skin's full portrait, Pickaxe and Glider set and prices the Item Shop! Stealin' wins, and breakin' hearts! 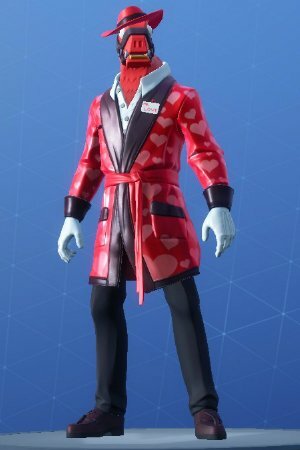 The Heartbreaker is here to show you how smooth it is all the way to the top! 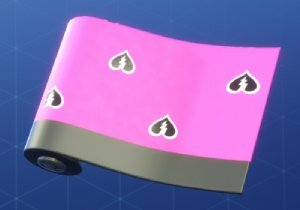 Available as part of HEARTBREAKER set. The element of surprise! 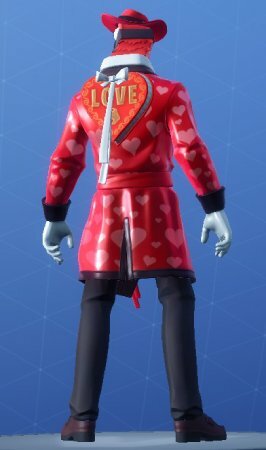 Heartbreaker's got a box of chocolates, and you never know what could be inside! The Chocollama proves that your teeth aren't the only things too much chocolate can hurt! The Heartspan lets you glide in, and strike fear into the hearts of your enemies! 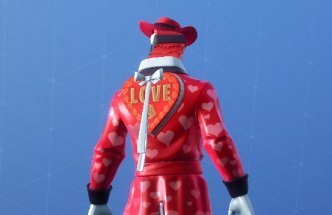 Wear your heart on your sleeve? Bah. Show it off in your guns and vehicles instead!